FROM THE BOOK JACKET: Six friends. One killer. Who do you trust? A teen girl is missing after a night of partying; thirty years later, the discovery of her body reopens a cold case in an absorbing novel featuring a small-town cop determined to finally get to the truth--for fans of Tana French and Kate Atkinson. On a scorching July night in 1983, a group of teenagers goes camping in the forest. Bright and brilliant, they are destined for great things, and the youngest of the group--Aurora Jackson--is delighted to be allowed to tag along. The evening starts like any other--they drink, they dance, they fight, they kiss. Some of them slip off into the woods in pairs, others are left jealous and heartbroken. But by morning, Aurora has disappeared. Her friends claim that she was safe the last time they saw her, right before she went to sleep. An exhaustive investigation is launched, but no trace of the teenager is ever found. 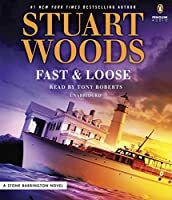 Thirty years later, Aurora's body is unearthed in a hideaway that only the six friends knew about, and Jonah Sheens is put in charge of solving the long-cold case. Back in 1983, as a young cop in their small town, he had known the teenagers--including Aurora--personally, even before taking part in the search. Now he's determined to finally get to the truth of what happened that night. Sheens's investigation brings the members of the camping party back to the forest, where they will be confronted once again with the events that left one of them dead, and all of them profoundly changed forever. ABOUT THE AUTHOR: Gytha Lodge studied English at Cambridge University and received an MA in creative writing from the University of East Anglia.